THE APOSTOLIC MOTHER CHURCH OF UNIVERSAL HOLY ETCHMIADZIN. In 1915, and for years following, Ottoman Turkey committed genocide against our people. In Western Armenia – on our native soil – in the Armenian homeland and in Armenian communities throughout Turkey, one and one half million sons and daughters of our nation were subjected to slaughter, famine and disease, as they were deported and forced to march to their deaths. Centuries of honest accomplishments and creativity were swiftly plundered. Thousands of monasteries and churches were desecrated and destroyed. National institutions and schools were razed and ruined. Our spiritual and cultural treasures were uprooted and obliterated. Western Armenia, where for millennia - from the time of Noah - our people lived, created and built their history and culture, had been wrested from its native population. A century ago – when the fragments of the Armenian nation, having lost their patrimony, were scattered all over the world, and while Eastern Armenia was waging a life-and-death struggle for survival against Turkish invaders – it was hard to believe in the future of the Armenian people. Nevertheless a new dawn came. By the grace of the Lord, our people rose up from death. On a small, salvaged part of the homeland, our people reestablished statehood, recreated a country out of the ruins and vestiges, and built a “homeland of light and hope,” of science, education and culture. The Armenians exiled throughout the world built homes and hearths, and flourished in countries near and far, carrying on their traditions and spiritual life. Wherever the children of our nation lived, they achieved success, earned respect and trust, and gained recognition for their conscientious work and their contributions to science, the arts and the common welfare. This is the history of our people for the last century – a history of adversity and resurrection. Today, hardships notwithstanding, our nation strengthens its independent statehood, creates its new life of freedom, and looks hopefully to the future, embracing national reawakening, optimism and faith. Glory to you, O Lord, boundless glory, “Like a shield you protect us with your good favor.” (Psalms 5:12). By placing our hope in You, O Lord, our people were enlightened and strengthened. Your light kindled the ingenuity of our spirit. Your might propelled us to our victories. We created though others destroyed our creations. We continued to live though others wanted us dead. You, O Lord, willed that our people - condemned to death by a genocidal plan - should live and rise again, so that we might raise this just cause before the conscience of humanity and the law of nations, to free the world of the callous indifference of Pilate and the criminal denial of Turkey. For the sake of justice - until the triumph of our cause, we will continue our struggle without retreat – Church, Nation and State together. The blood of our innocent martyrs and the suffering of our people cry out for justice. Our destroyed shrines, the violation of our national rights, the falsification and distortion of our history all cry out for justice. Having survived genocide, our people believed and continue to believe that the multitude of righteous countries, national and civic organizations, and individuals who have recognized and condemned the Armenian Genocide will be joined by others who believe that the affirmation of truth and justice are the prerequisite and guarantor of a peaceful world free of enmity and violence. 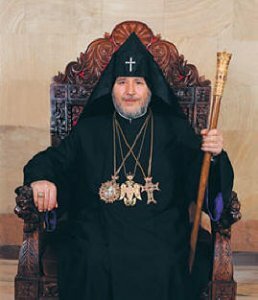 As Pontiff of the Armenians, it is spiritually consoling to announce to our people that on April 23, 2015, during the Divine Liturgy, our Holy Church will offer a special service canonizing its sons and daughters who accepted martyrdom as saints “for faith and for Homeland”, and will proclaim April 24 as the day of remembrance for the Holy Martyrs of the Genocide. O, Armenian people, graced from on high - a nation martyred; a nation resurrected - live boldly, advance surely, with your gaze toward Ark-bearing Ararat, and with an unwavering heart, keep your hope great. The Lord's encouragement and message are addressed to you: “Though you are not mighty, you were faithful to my word and you did not betray my name… Hold fast what you have so that no one will take away your crown of victory.” (Revelations 3:8-11). Thus, let us stay on course before God, righteous and true, on the steadfast paths of faith, which like the morning light dispels the darkness and makes the horizons of hope visible. Our way is with God; and the life of faith is our victory. Let us make fruitful the centennial anniversary by valuing our peoples' 100-year-long path of travails and rebirth, so that our children, recognizing the heroic will of their grandparents and parents to live and create, and their commissions undertaken for the sake of nation and homeland, create the bright day of our native land and our people dispersed throughout the world. Let us transform the remembrance of our martyrs into energy and strength in our spiritual and national life, and before God and all people, illuminate the path by our righteous course to guide our way toward the realization of justice and our sacred aspirations. From our nation's Christ-built and cherished spiritual center, before the Mother See of Holy Etchmiadzin's Holy Altar of Descent of the Only Begotten, let us pray to God for peace, safety and the welfare of our Homeland, our beloved people throughout the world, and especially, for everlasting light and peace for the innocent souls of the holy martyrs of genocide. May love and brotherhood, justice and truth reign over humankind, and may the ways of the righteous radiate, guide and spread the light until the dawn of a new day brings peace and happiness to all the world. 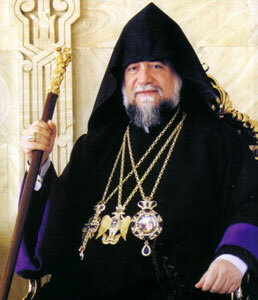 CATHOLICOS OF THE ARMENIANS OF THE GREAT HOUSE OF CILICIA. NATIONAL REPRESENTATIVE ASSEMBLIES, RELIGIOUS AND EXECUTIVE COUNCILS. 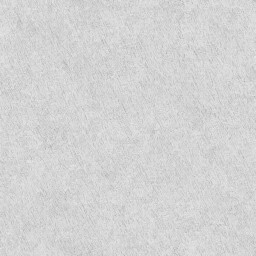 BOARDS OF TRUSTEES, BENEVOLENT ORGANIZATIONS AND SERVANTS OF ARMENIAN EDUCATION, ARMENIAN SCHOOL TEACHERS, JOURNALISTS, AND TO OUR BELOVED AND TRUE CHILDREN TO THE HAIGAZIAN NATION THROUGHOUT THE DIASPORA WITH CHRISTIAN LOVE AND FATHERLY BLESSINGS AND BLESSINGS FROM THE RIGHT HAND OF OUR FATHER, SAINT GREGORY THE ILLUMINATOR. PEACE OF THE LORD, LOVE OF THE ONLY BEGOTTEN SON AND THE GRACE OF THE HOLY SPIRIT BE WITH YOU AND ALL. Genocide and human rights declarations clearly state that genocide is a crime against humanity and therefore the criminal, be it an individual, an organizations, or a government, must come before the international court of justice. International law also emphasizes that recognition of genocide means reparation. Therefore, the recognition of the Armenian genocide must not be considered to be the goal of the Armenian people’s demands. Recognition and reparation must be considered together, closely connected as one and indivisible entity and must become the strong foundation and clear goal of the Armenian people’s struggle. It is possible that the current geo-political conditions are not favorable for our demands. Perhaps, the genocidal perpetrator, with its diplomatic and economic effective means will hinder any attempts by our people toward this direction. However, in spite of this harsh reality our people are summoned to continue their demands with even greater faith and commitment. Our Prelacies, for the extensive participation of our people at religious services, public meetings, and other events to keep the memory of our martyrs and to keep alive their eternal message. Our organizations working within the life of our nation, to make collective efforts and with a unified spirit organize and evaluate this important event in our lifetime. Our educational institutions, to be attentive to the formation of the students in human and Armenian values and give special attention to the 100th anniversary in our schools, teaching our students about the meaning and message of this anniversary. Our intellectuals, through their research and lectures, to focus on the imperative of recognition of the genocide and the demand for reparations. To all Armenians, to be full-hearted participants in the efforts on behalf of the Armenian Cause in general, and for the 100th anniversary events in particular. Antelias, Lebanon, December 28, 2014, in the year of our Lord.